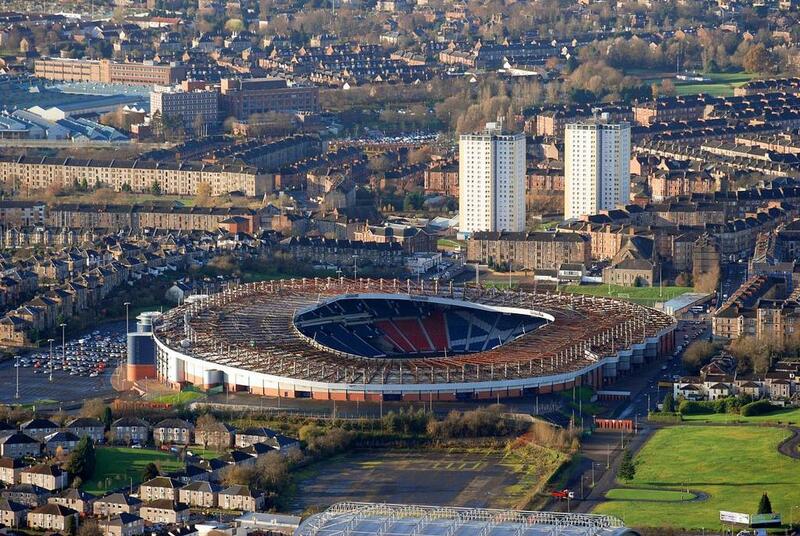 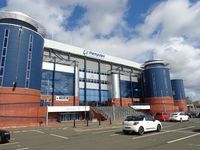 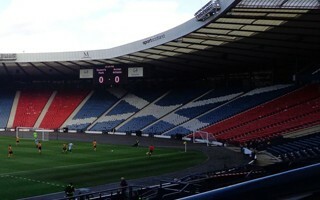 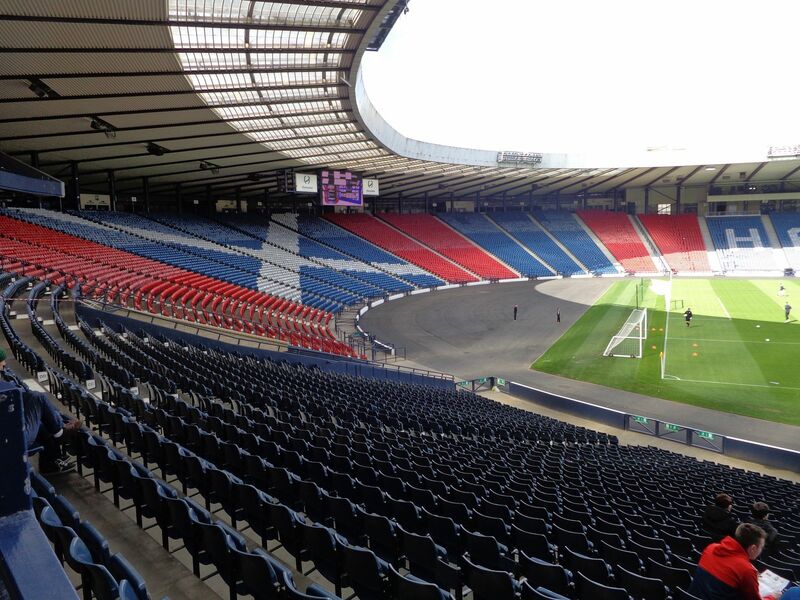 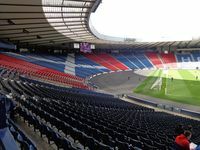 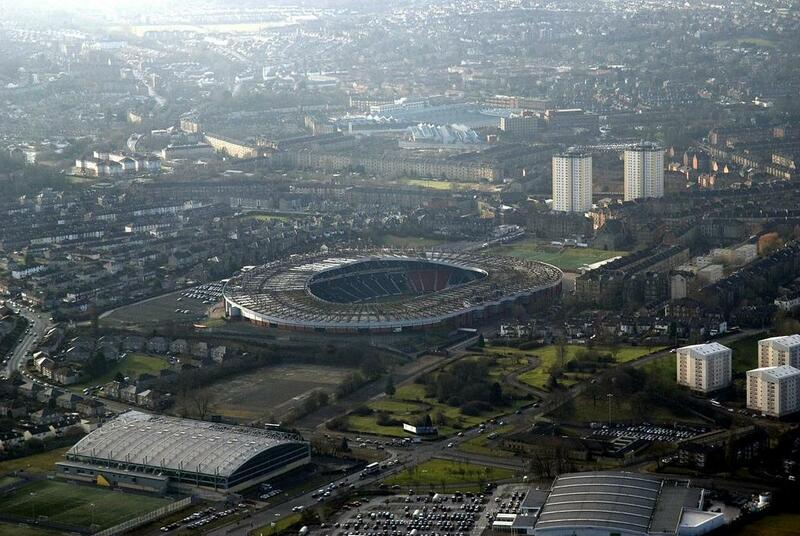 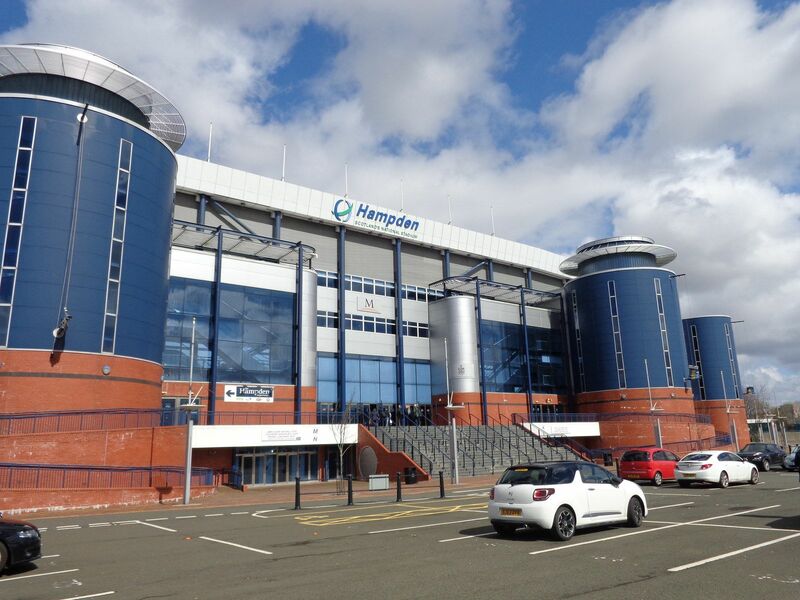 The national stadium of Scotland bears the name of an English politician John Hampden and is actually the third venue to be called Hampden Park in Glasgow. 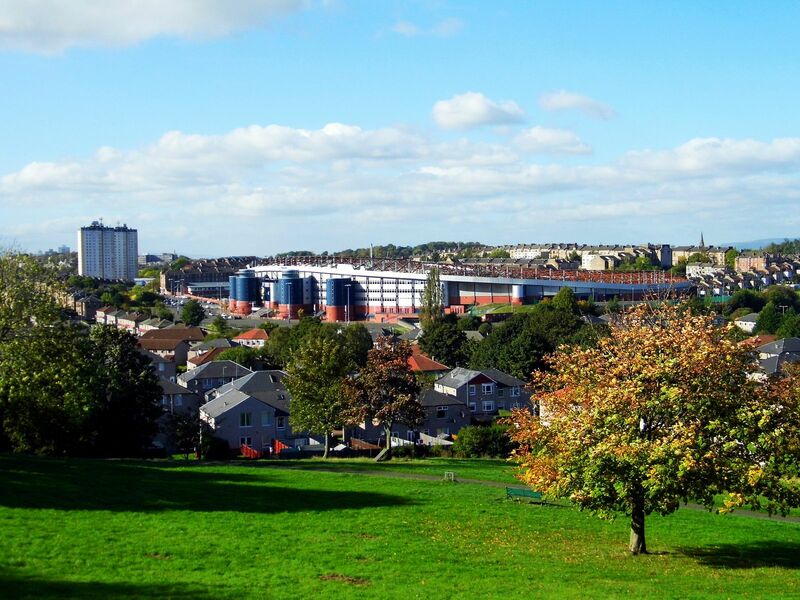 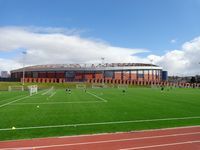 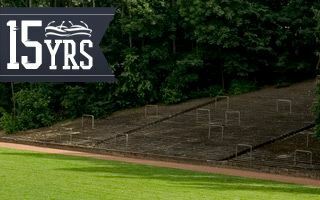 All three have been built in similar location (neighboring, not on the same plot) and also used by Scotland’s oldest football club, Queens Park. 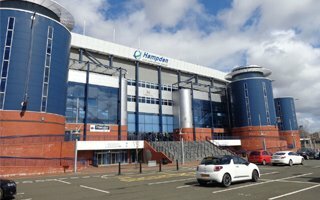 Today only an amateur side, back in 1903 they were the club with world’s largest stadium and beat Celtic in the opener. 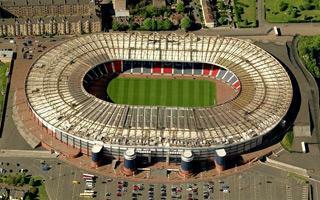 first attendance of over 100,000 people came in 1906, when England came for an international. 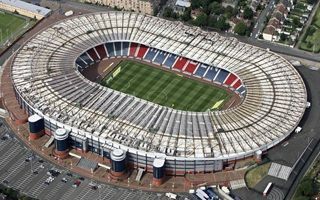 For a stunning 47 years it has remained the world’s largest ground (until Maracana came in 1950), mostly thanks to major enlargements in 1927-1937. 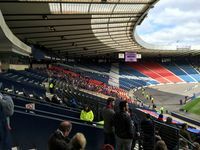 At the latter date it could take up to 183,388 people, but for safety reasons was restricted to ‘only’ 150,000. 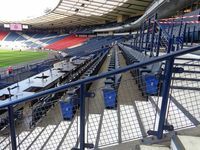 Of course most fans were seated on wooden benches or standing and the terracing was set on land slopes, but it was still remarkable. 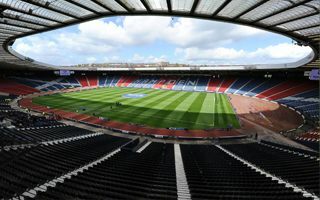 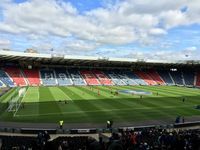 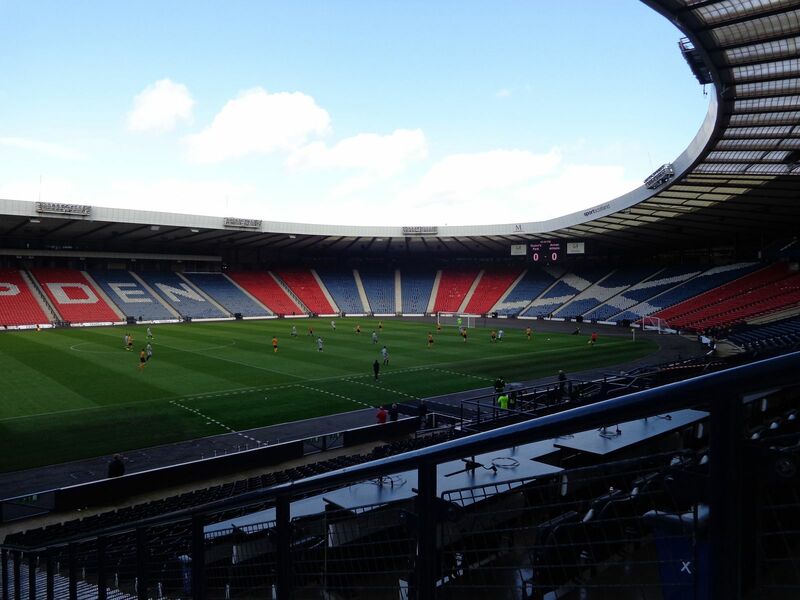 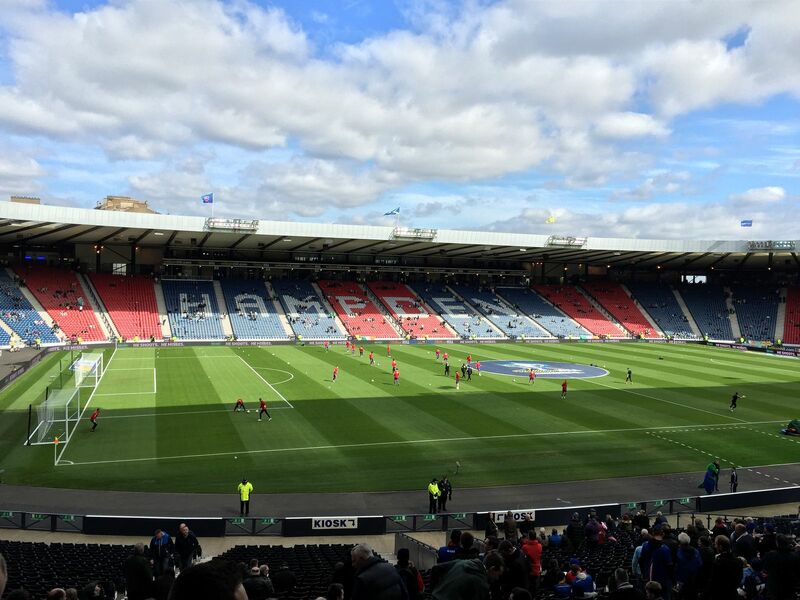 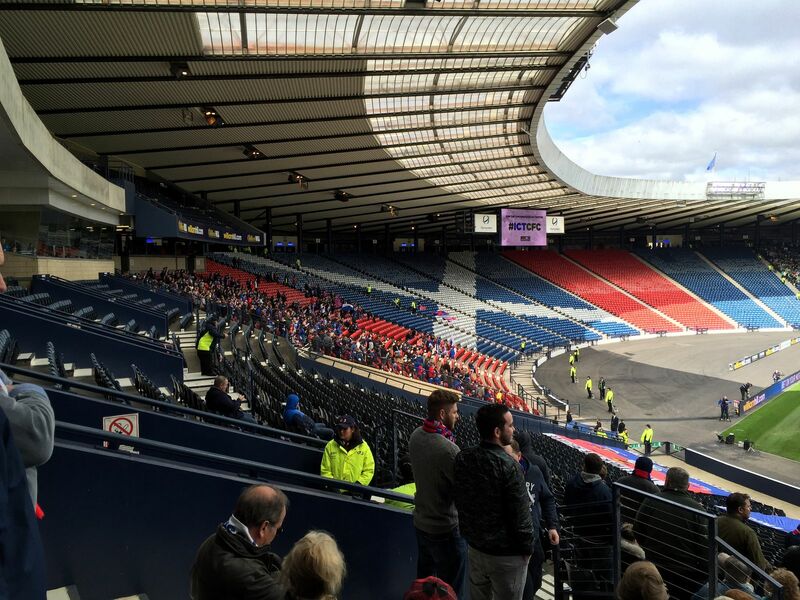 The very same year it was sold out for another Scotland-England match that still holds European attendance record for international teams’ clashes. 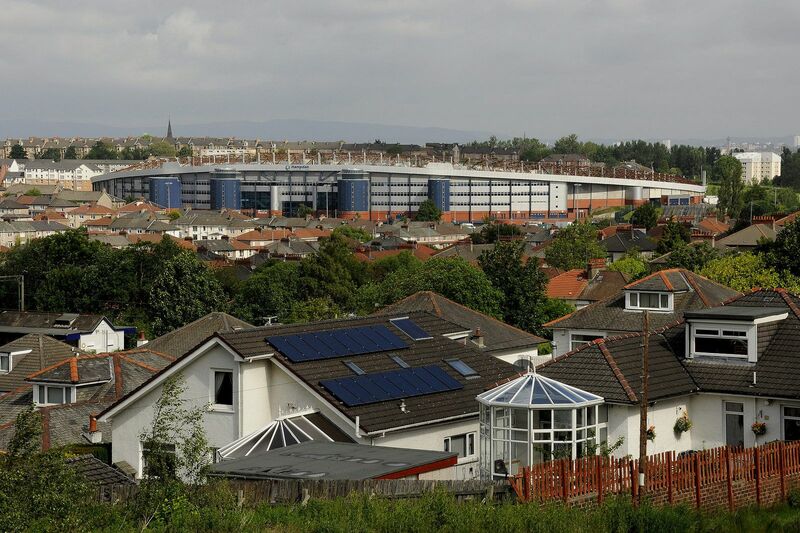 Capacity started falling since 1945, first to 135,000 and then to 81,000 in 1977. 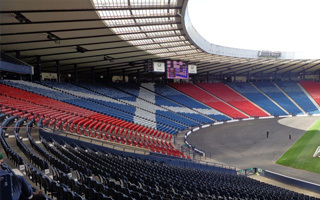 Finally, in the 1990’s the largest revamp to date took place with the ground receiving new cover, floodlights, administration/office buildings and of course it became an all-seater, ending up with barely over 52,000 capacity, not much if we look back at its history. 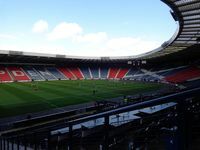 Apart from the mentioned international classics against England, final games of national club cups have also been played here, followed by a long list of international hits. 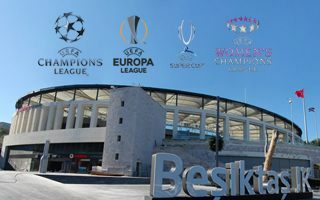 European Cup / Champions League finals (1960, 1967, 1976, 2002), the Cup Winners’ Cup finals (1962, 1966) and the UEFA Cup final of 2007, not mentioning U16 World Cup of 1989 and football games of the 2012 Olympics. 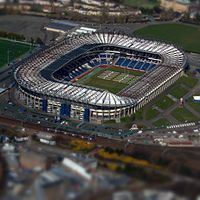 Then come rugby games, huge concerts and another attendance record. 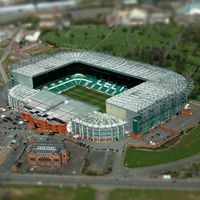 The Celtic – Leeds 1970 European Cup semifinal was watched by a shocking 136,505 people, a crowd unmatched for any other European cup game so far. 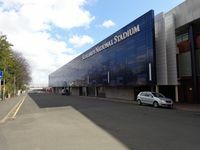 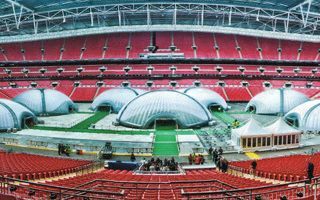 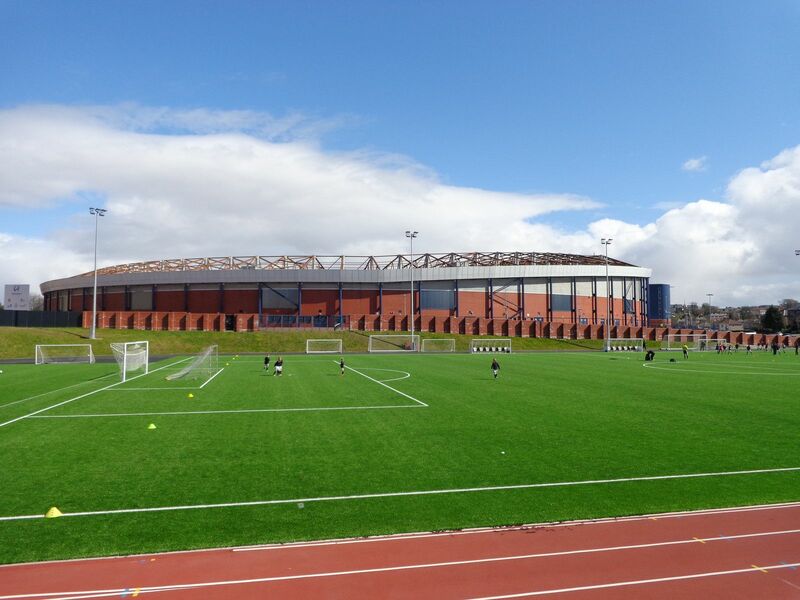 Interesting temporary redevelopment came in 2014, when the stadium was once more converted into a multi-use one by adding a temporary platform with running track for the duration of 2014 Commonwealth Games. 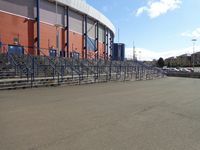 Using the occasion the venue was upgraded with new facilities for the disabled. 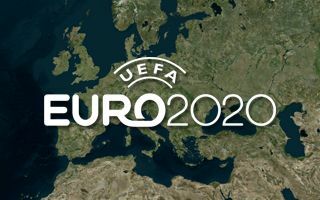 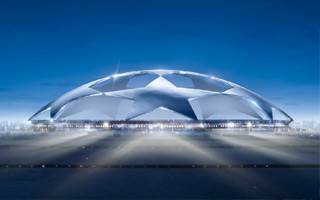 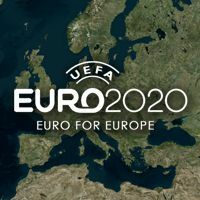 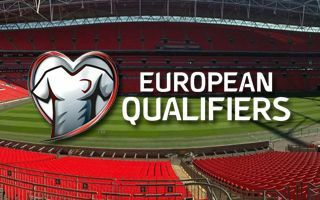 In 2015 it was awarded a place on the UEFA Euro 2020 host list.